Alfredo Chiaramonte is an industrial architect and designer, known for giving life to unpublished projects in step with the times. Born in Bologna, in 1961, he studied architecture in Venice and has a long experience in the fields of interior design, graphic, industrial and lighting, from which he takes inspiration to create objects that embrace various fields in style and functionality. 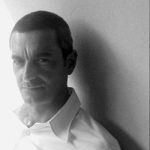 Alfredo Chiaramonte's career goes hand in hand with that of architect Marco Marin, with whom he founded DesignStudio in 1989. Together they collaborate with major furniture and lighting companies, creating innovative objects with an original design that reflects the passion for industrial design. The two professionals have taught at the European Center, as part of a course for the conservation of Venetian architectural heritage. The industrial skills and their ability to invent objects, furnishings and set designs are both aesthetic and functional, and have led them to collaborate with international companies, creating collections that have become true icons of style in the furniture industry as in the case of the Knot crystal lamps designed for Czech Brokis or the Vetta deckchairs for Emu. The studio has developed a project with: Axo Light, Artificia, Cattelan Italia Bonaldo, Calligaris, Emu group, Miniforms, Moulinex, Nason Moretti, Renault Italia, Sica, Vistosi and other well-known brands in interior design, lighting and publishing . The professional association between the two architects has led them to receive numerous awards and their creations have been exhibited in permanent collections and world-famous museums, such as the Correr of Venice, the Beauburg of Paris, the MOMA of S. Francisco, the museum of the design of the Anna Querci Foundation and La Biennale di Venezia, where they worked on a project by Yoco Ono.